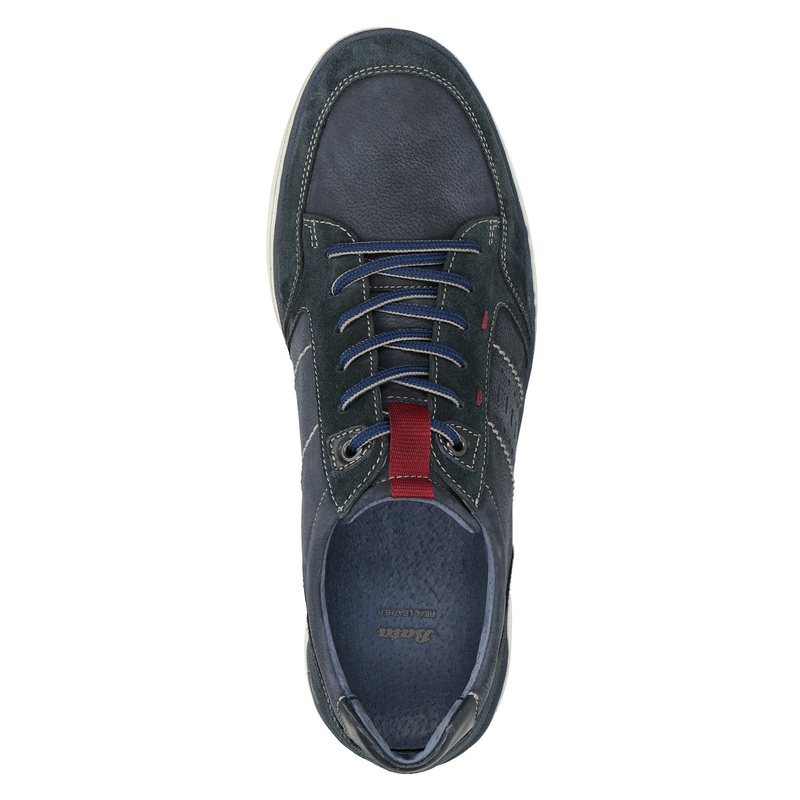 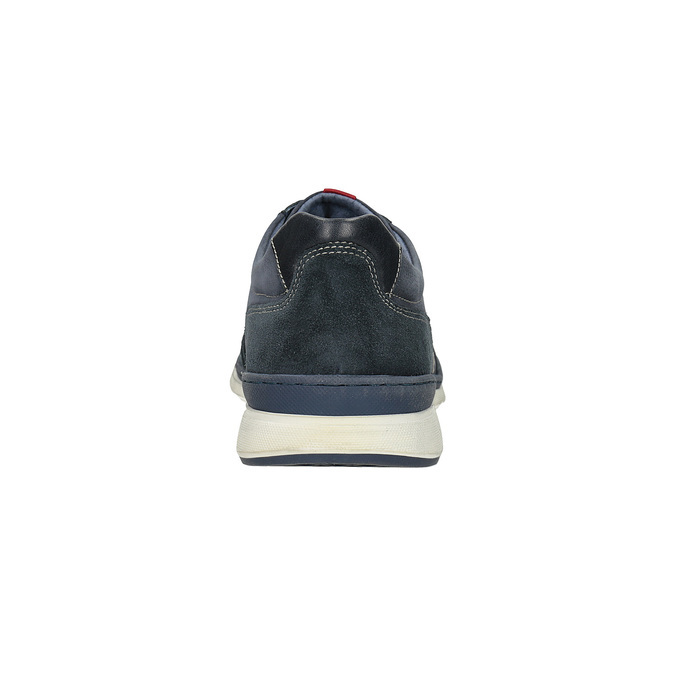 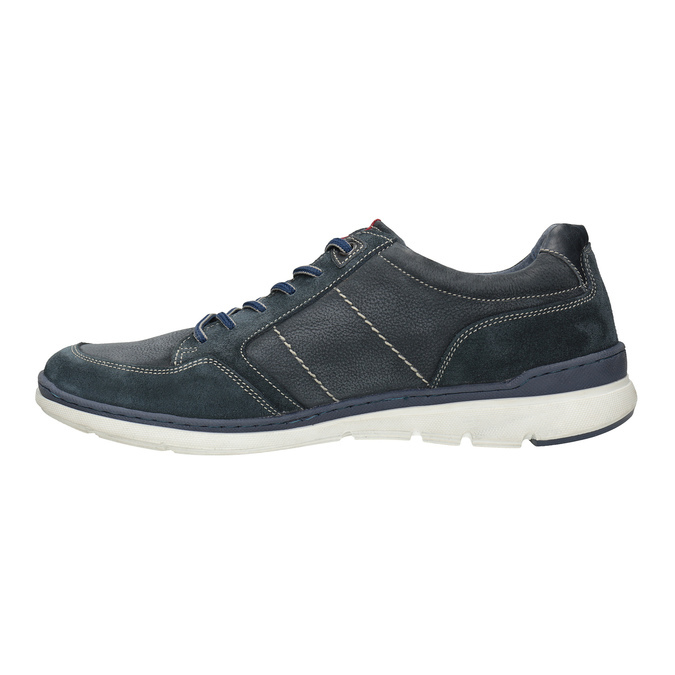 These men’s casual sneakers have a blue brushed leather upper. 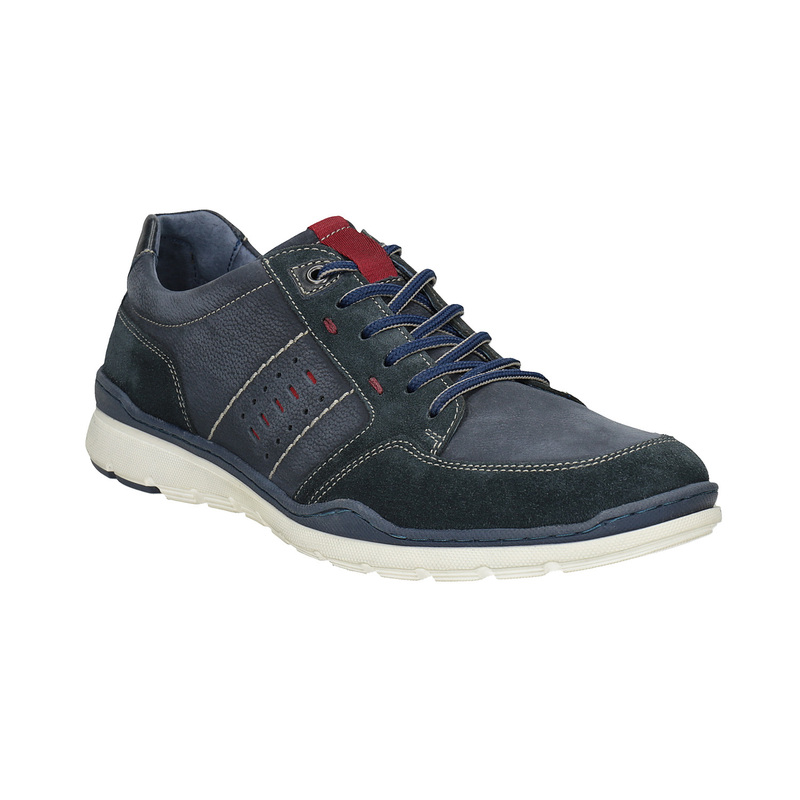 They feature distinctive light stitching and red details. 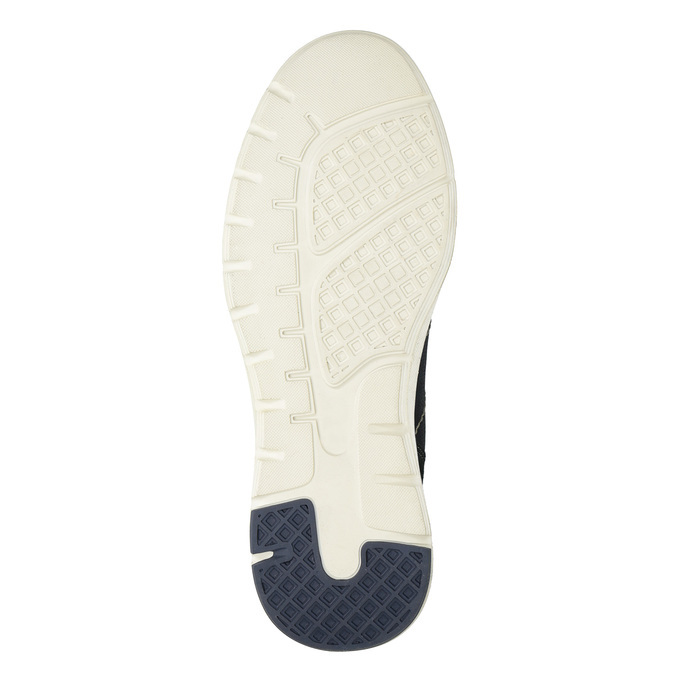 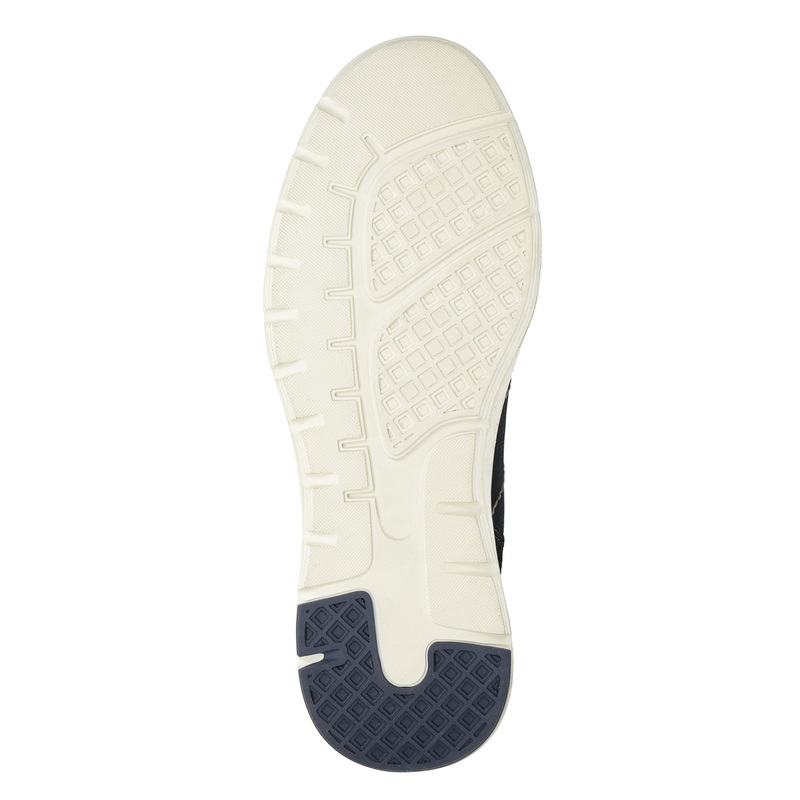 The sole matches the ergonomics of your foot and is stitched to the upper, making it more flexible. 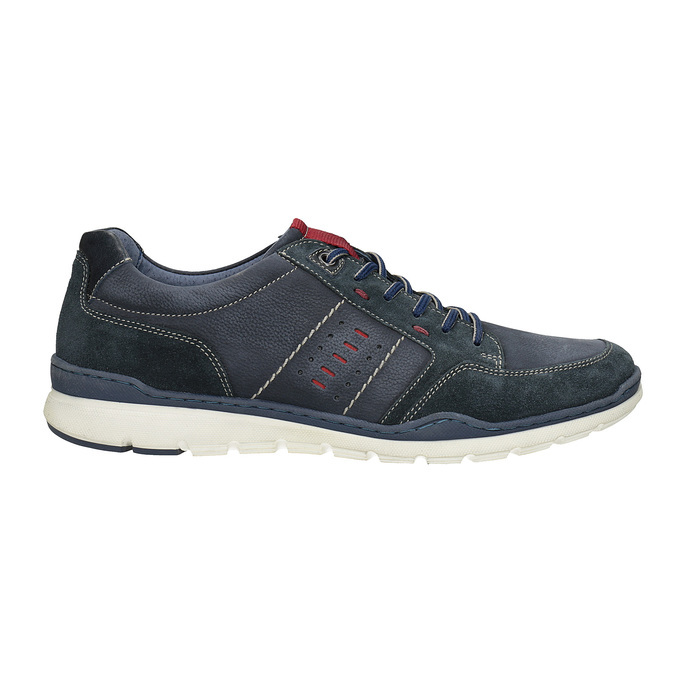 These have a leather insole and a striped textile lining.